Minimally invasive surgical training is complicated due to the constraints imposed by the surgical environment. Sensorized laparoscopic instruments capable of sensing force in five degrees of freedom and position in six degrees of freedom were evaluated. 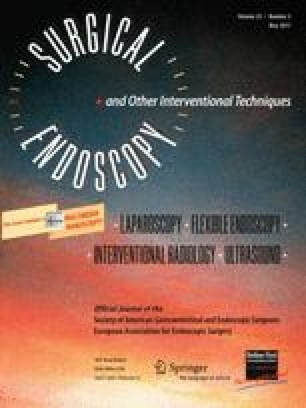 Novice and expert laparoscopists performed the complex minimally invasive surgical task of suturing using the novel instruments. Their force and position profiles were compared. The novel minimally invasive surgical instrument proved to be construct valid and capable of detecting differences between novices and experts in a laparoscopic suturing task with respect to force and position. Further evaluation is mandated for a better understanding of the ability to predict performance based on force and position as well as the potential for new metrics in minimally invasive surgical education. Presented at the 12th WCES, April 14–17, 2010, National Harbor, MD. This research was supported by a grant from the Western Innovation Fund awarded to R. V. Patel by the Natural Sciences and Engineering Research Council (NSERC) of Canada under grants RGPIN-1345 (R. V. Patel), 312383-2005 (M. D. Naish) and under the Idea to Innovation grant I2IPJ/363985-07, as well as by infrastructure grants from the Canada Foundation for Innovation awarded to the London Health Sciences Centre (Canadian Surgical Technologies & Advanced Robotics) and to the University of Western Ontario (R. V. Patel). Financial support for Dr. Jayaraman was provided for by the Ontario Graduate Scholarship and for Ms. Trejos by an NSERC Alexander Graham Bell Canada Graduate Scholarship. C. M. Schlachta receives a consulting fee for serving on the Advisory Committee of Johnson & Johnson Medical Products and honoraria by Ethicon Endosurgery for speaking and teaching. S. Jayaraman, A. L. Trejos, M. D. Naish, A. Lyle, and R. V. Patel have no conflicts of interest or financial ties to disclose.